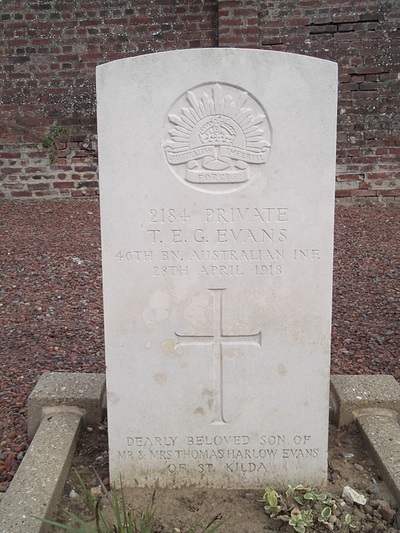 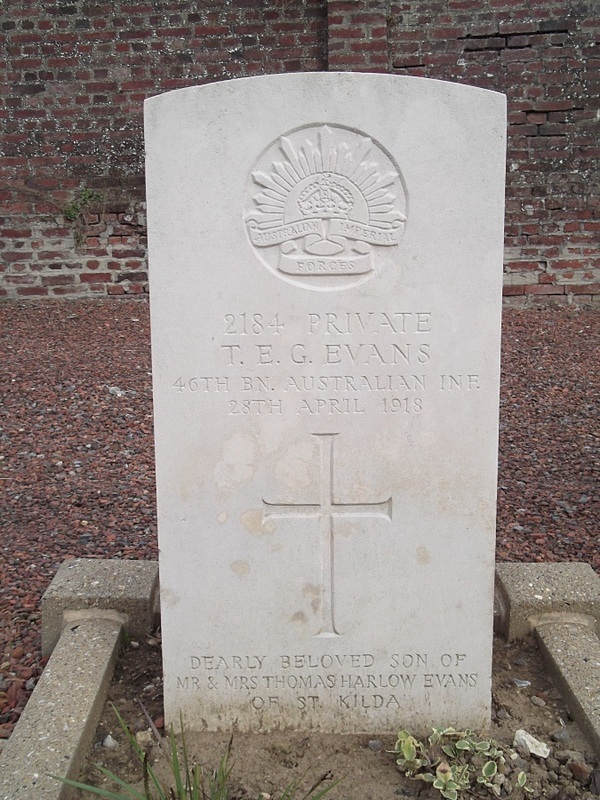 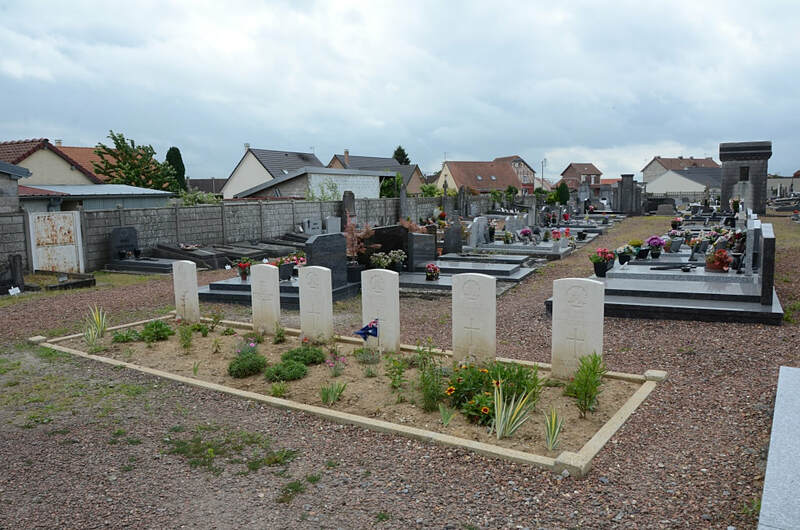 Villers-Bretonneux is a village 16 kilometres east of Amiens on the straight main road to St. Quentin. 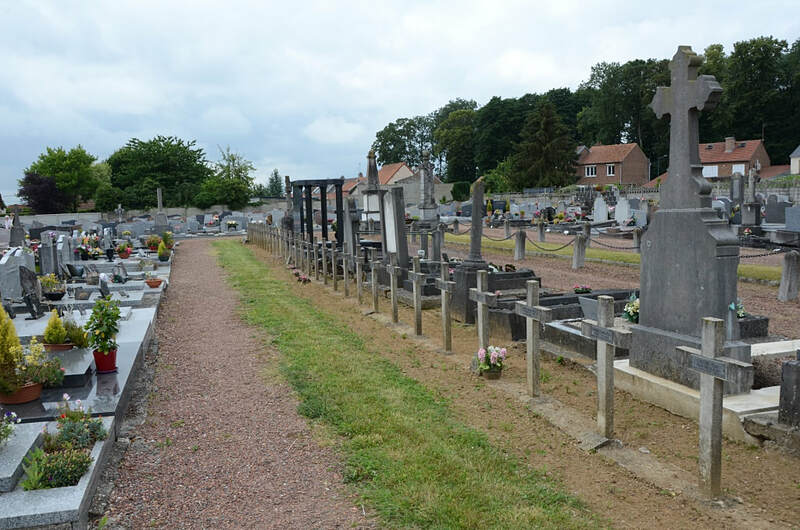 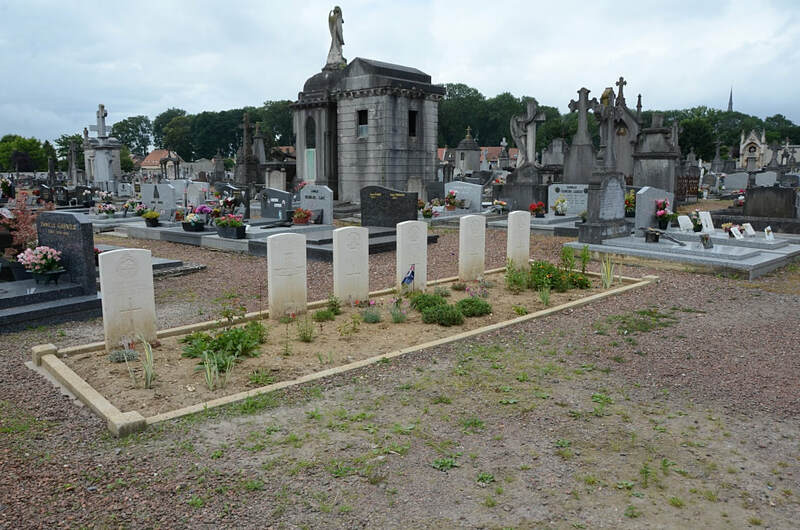 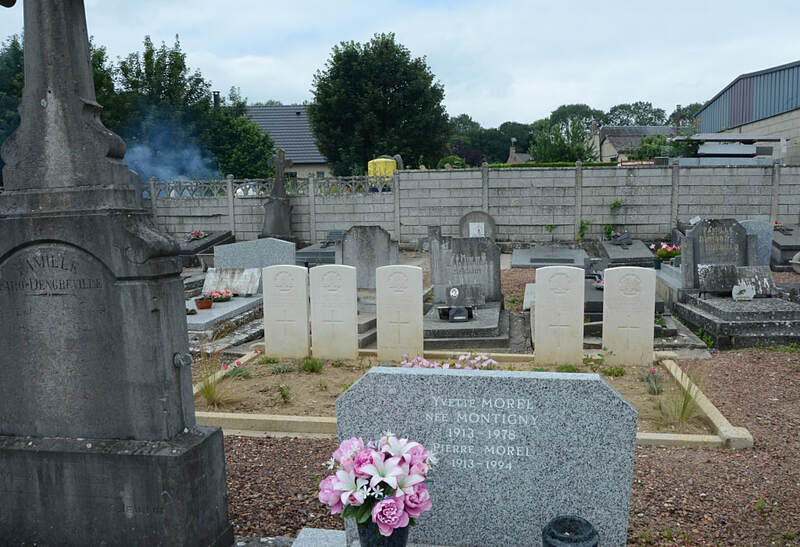 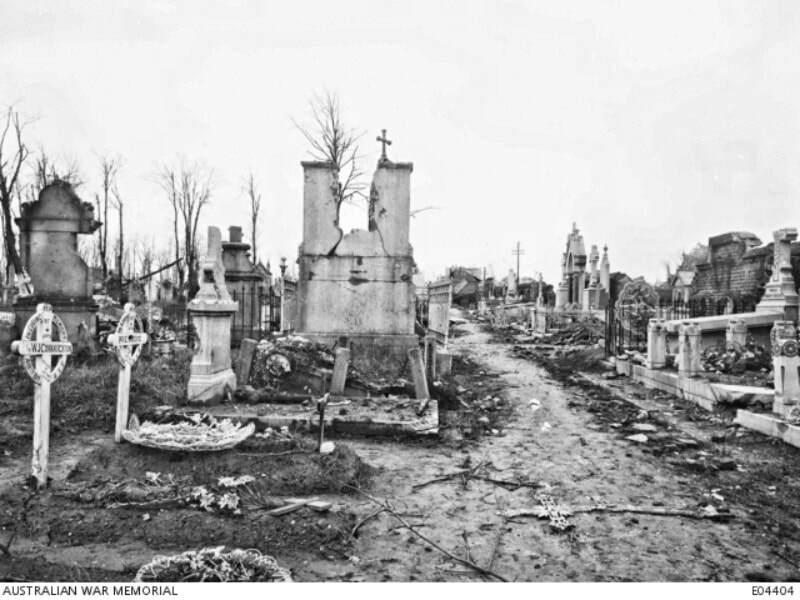 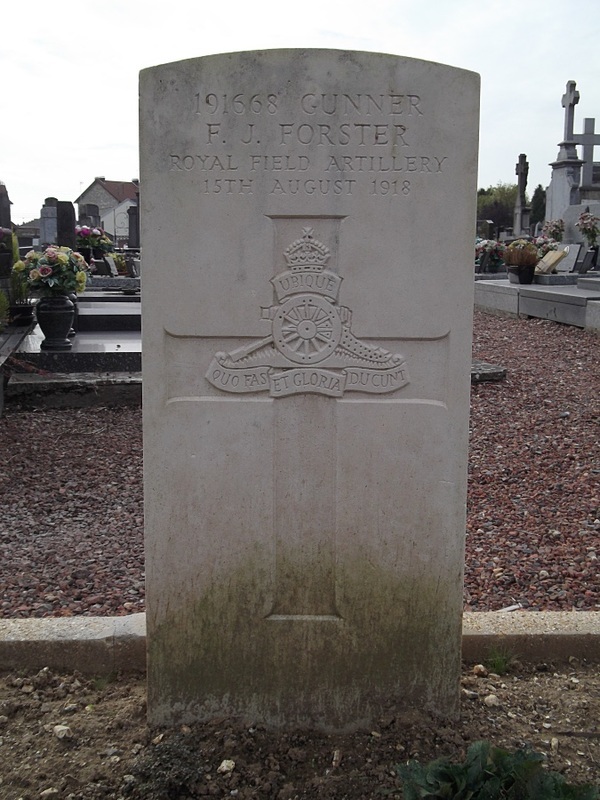 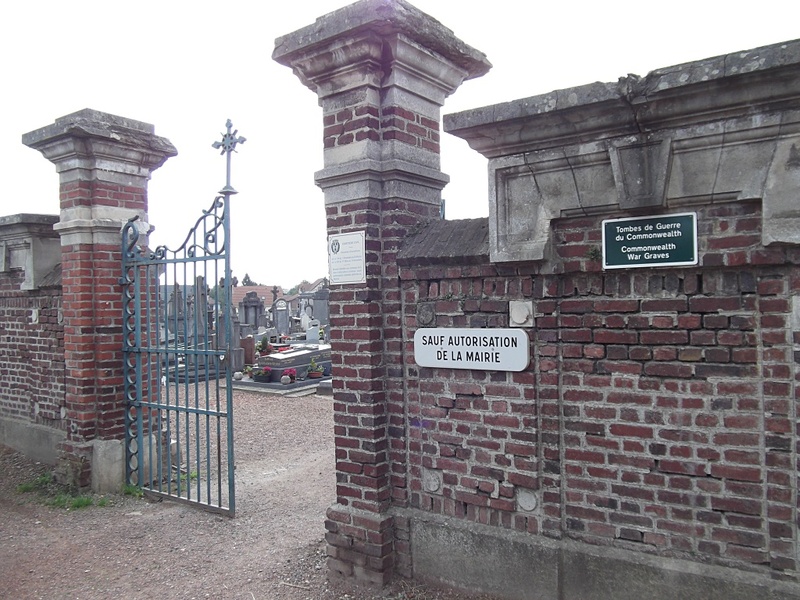 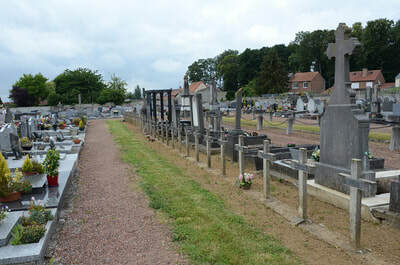 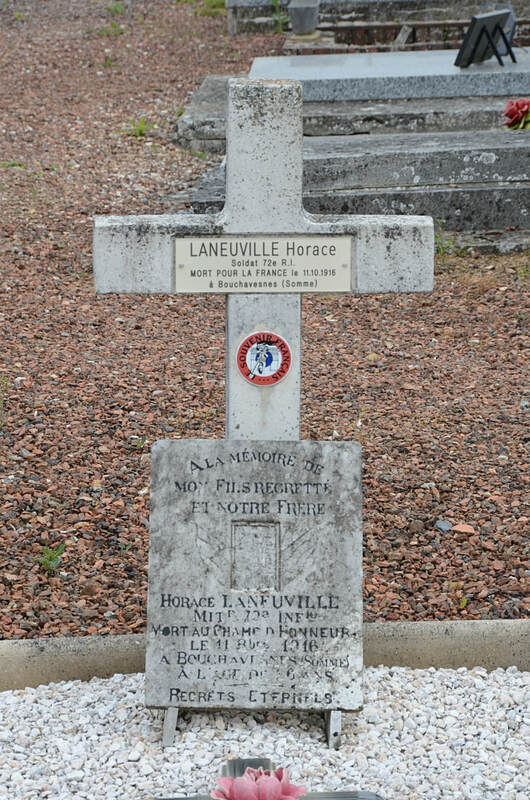 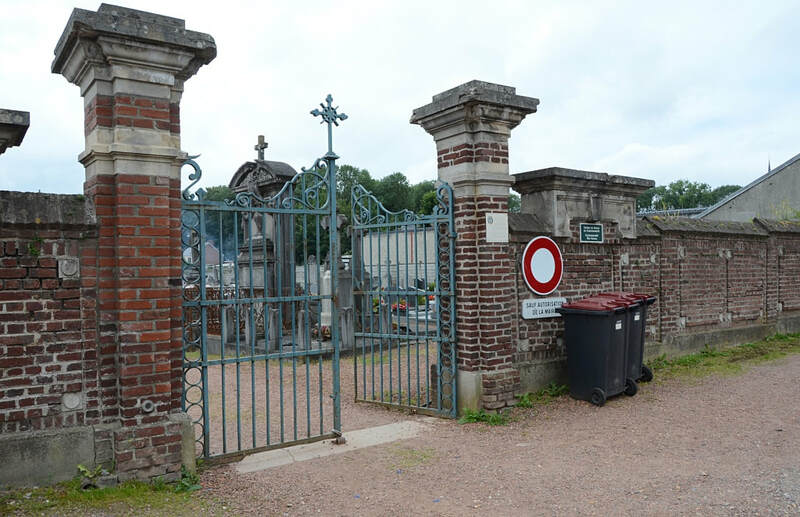 The Cemetery is about 2 kilometres north of the village on the east side of the road to Fouilloy. 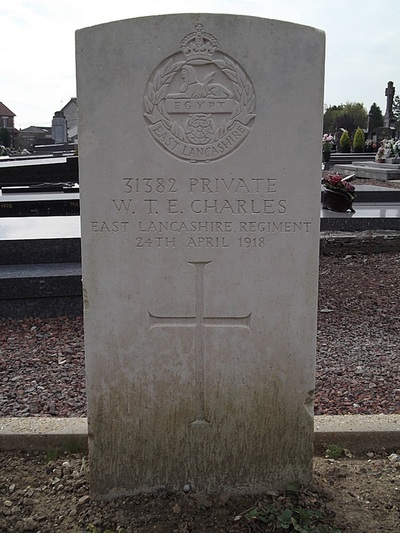 Villers-Bretonneux Communal Cemetery was used by Commonwealth forces in March-August 1918 and contains 12 First World War burials. William James Connaughton, M. M.
48th Bn. 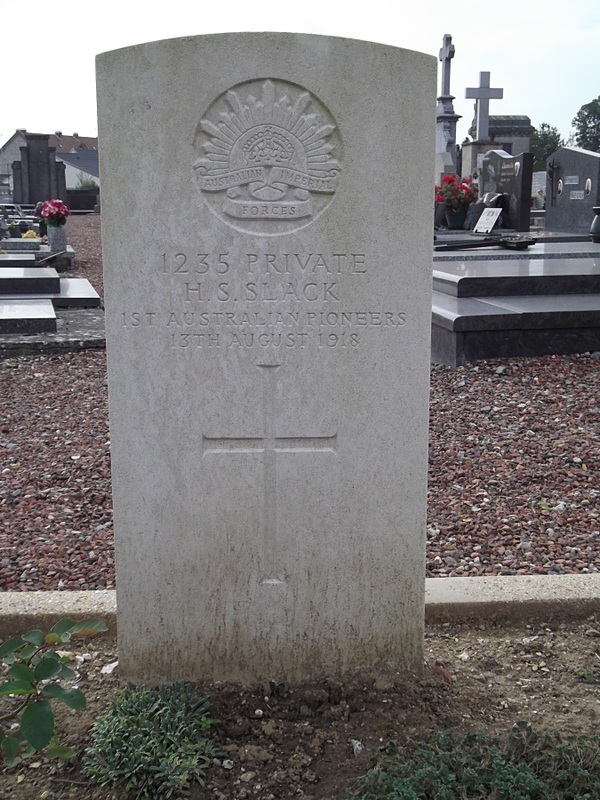 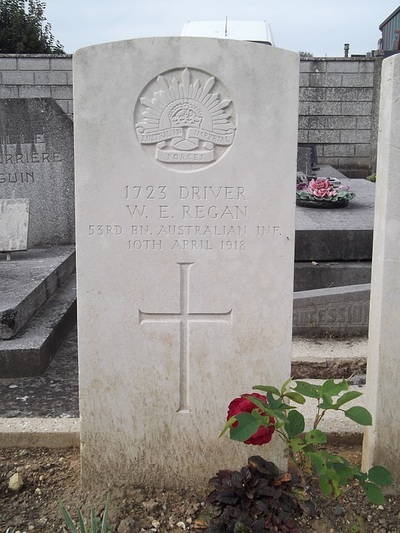 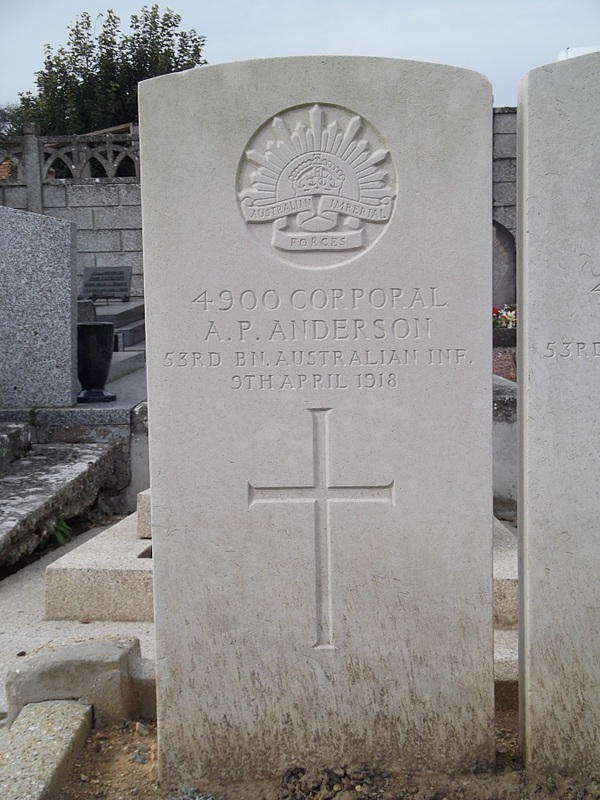 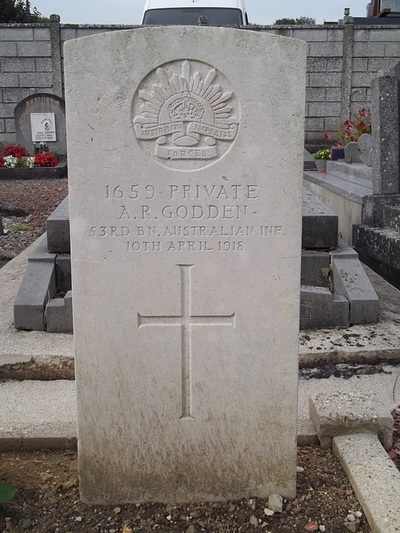 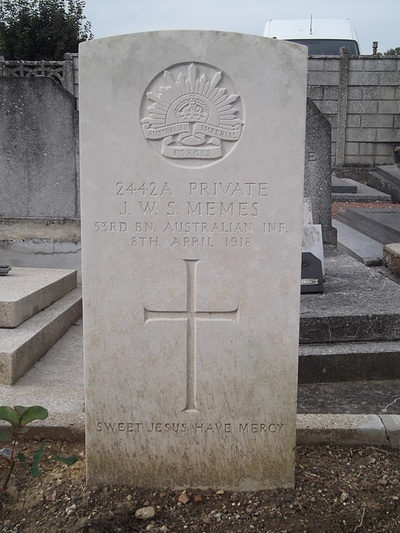 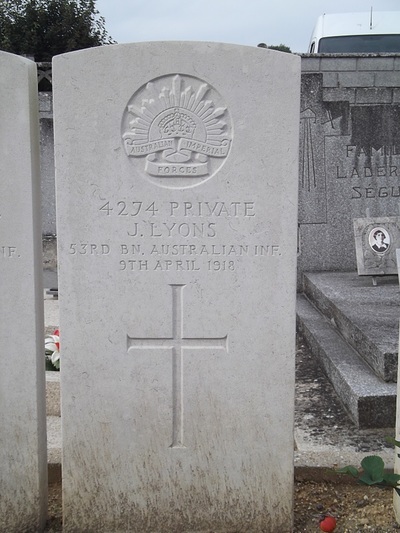 Australian Infantry, A, I, F.
Son of James and Mary Jane Connaughton, of Hubert St., Guildford, Western Australia. Born at Lion Mill, Western Australia. 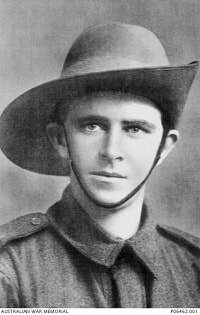 Studio portrait of 4776 Gunner (later Lance Corporal (L Cpl)) William James Connaughton, Field Artillery Brigade Reinforcements, of Lion Mill, Western Australia. 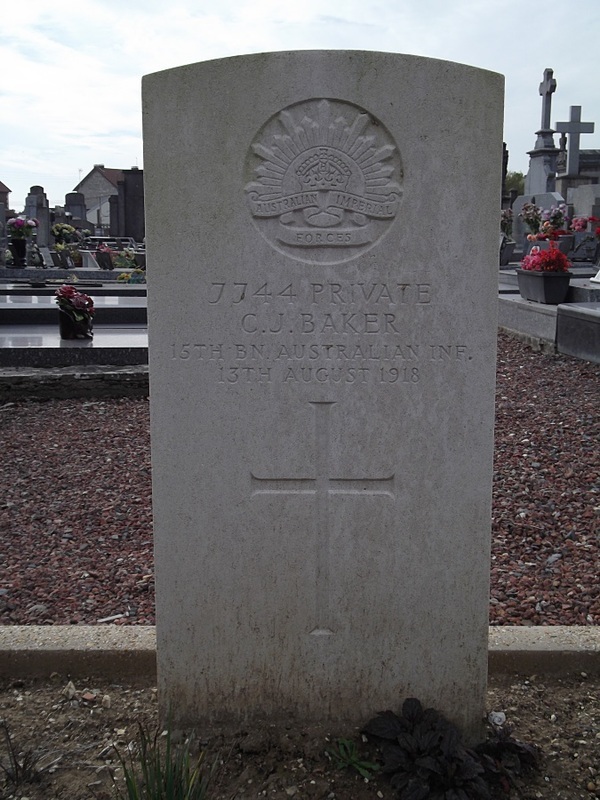 A mill hand prior to enlistment, he embarked from Melbourne on 9 November 1917 on HMAT Port Sydney and was later assigned to the 48th Battalion. 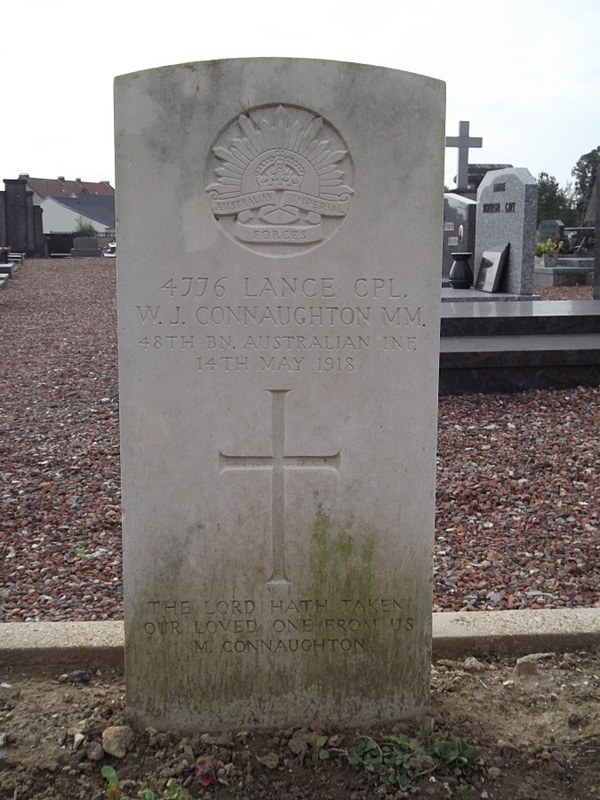 L Cpl Connaughton was killed in action on 14 May 1918 at Villers Bretonneux. 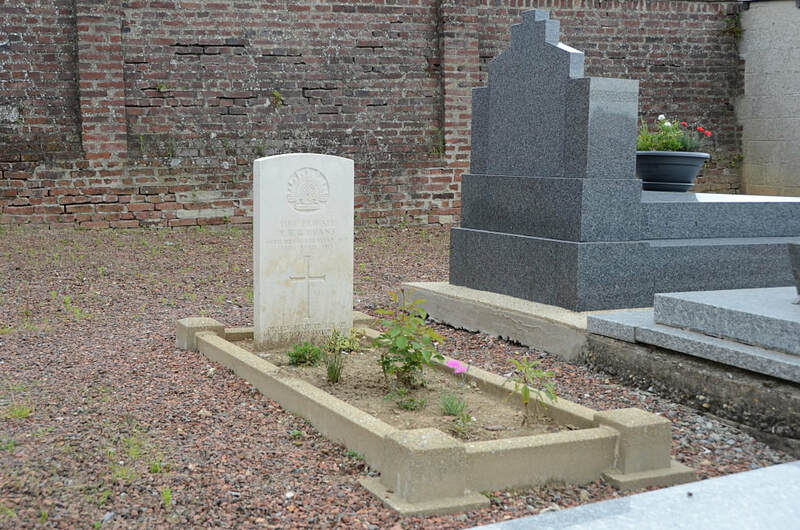 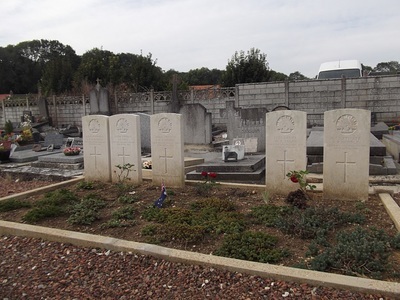 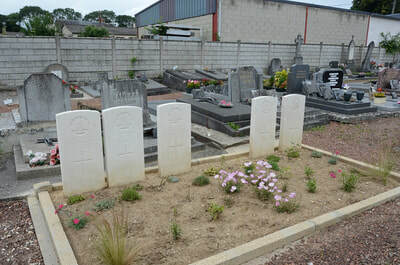 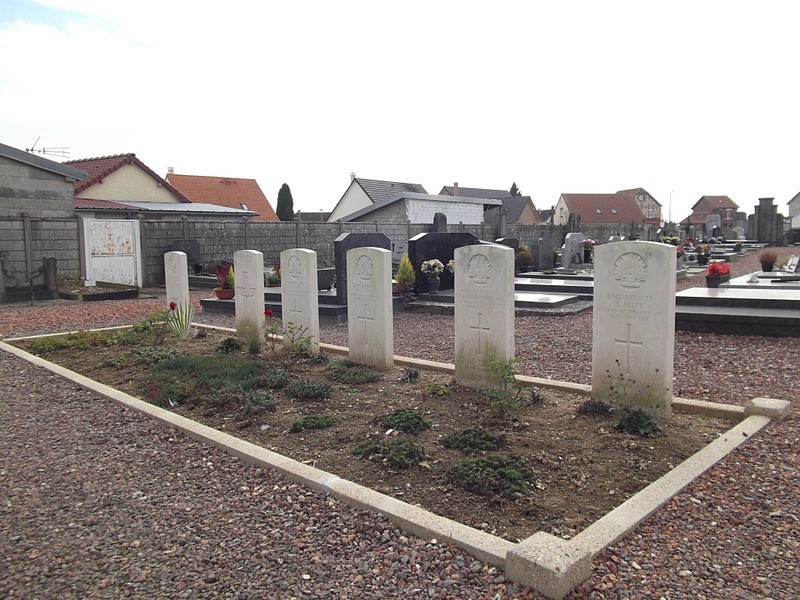 The graves of 4776 Lance Corporal (L Cpl) William James Connaughton MM and 3667 Private (Pte) Edward Keefe, members of the 48th Battalion, located in the Villers-Bretonneux Communal Cemetery. 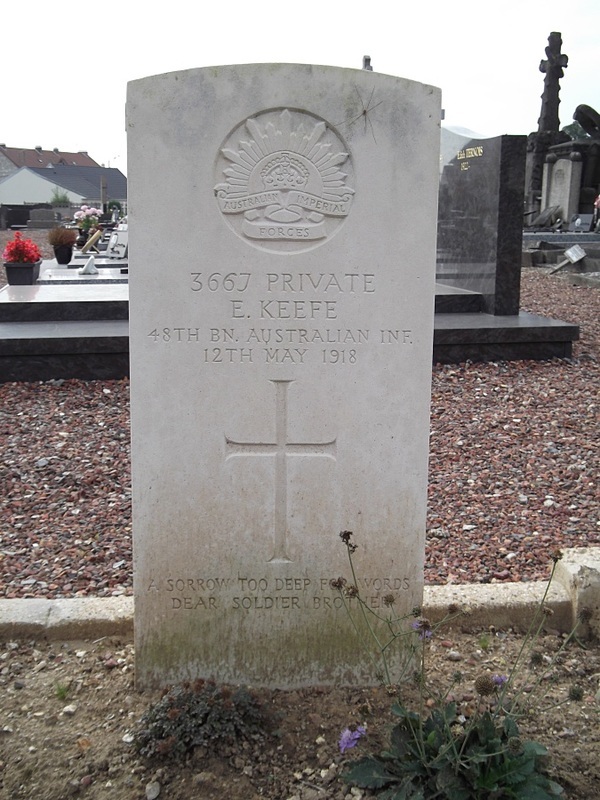 Both men were killed in action at Villers-Bretonneux, L Cpl W J Connaughton on 14 May 1918 and Pte E Keefe on 12 May 1918. 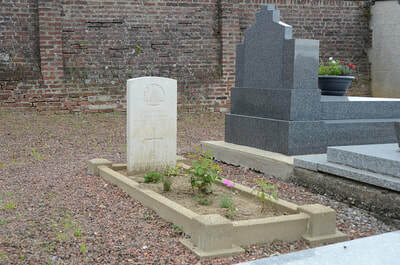 Note the shell damage to the surrounding stone graves.